Coming off its worst performance of the season, No. 3 Calvert Hall bounced back on the road Tuesday in Irvington, claiming a 2-1 victory over one of the hottest soccer teams in the MIAA A Conference, as the Cardinals topped No. 5 Mount St. Joseph, 2-1. The win took much of the sting out of Friday’s 5-1 loss to No. 6 Archbishop Curley and strengthened Calvert Hall’s hold on second place in the league. Both goals came from senior defenders, as Matt Breidenstein scored late in the first half and Jeff Schaefer tallied midway through the second half to propel the Cardinals. Both goals were assisted by senior forward Camillo Sanchez. The first half was virtually even until Calvert Hall (10-4-1, 9-3-1) broke on top in the 37th minute. The goal came off a set piece as Sanchez lofted a free kick from the left side to the far post, where Breidenstein won a header that deflected off the back of a Gael defender and inside the left post. At the start of the second half, Mount St. Joe applied 20 minutes of sustained pressure, creating numerous chances, but the Gaels came away with nothing to show for their effort. Perhaps the biggest heart-breaker for the Gaels (10-6, 7-5) came in the 48th minute. Sophomore Jake Mazzei, marked deep in the box, made a nifty move to pop the ball over his defender and then stepped inside to head the volley on goal. However, Calvert Hall keeper Sam Loeffler, who is battling a leg injury and was doubtful until just prior to the game, rose up and punched the ball over the crossbar to protect the Cardinals’ one goal lead. Ten minutes later the lead grew to two. Calvert Hall’s D.R. Medtart dumped a ball for Sanchez down in the left corner and Sanchez fired a cross through the box. The ball was out of the reach of the first two Cardinals in the area, but as it faded away from the goal, Schaefer came back to it and fired a hard shot inside the right post as he spun back towards the goal. Playing well at St. Joe was important to Sanchez, according to Calvert Hall head coach Rich Zinkand. The second Calvert Hall goal finally slowed the Gaels’ thrust and the Cardinals were able to widle away much of the remaining clock. St. Joe, however, did make a final push and finally got on the board with 1:38 to play. Junior Joe Clark made a nice move to split two defenders on the right wing before firing a hard cross into the box to senior Andrew Burke, who blasted a strike that was saved by Loeffler. The rebound, however, stayed in front where it was finished with authority by Jake Mazzei. St. Joe was not able to mount another run in the remaining time, as the Cardinals held on for the win. With the victory, the Cardinals increased their point total to 28, giving them a four-point lead over third-place Loyola. 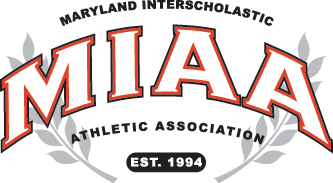 With top-ranked McDonogh (37 points), which defeated Gilman, 6-1, on Wednesday, in complete control of the top seed, Calvert Hall is trying to lock down the second position which provides a first round bye and a home game for the conference semifinals. The Cardinals have three regular season league games remaining, two with Gilman and one with Archbishop Spalding. St. Joe (10-6, 7-5) is tied for fourth with Curley (12-8, 7-6), each with 21 points. Suddenly hot as well, Curley defeated Spalding, 3-2, on Wednesday. Also in the league on Monday, Loyola defeated St. Paul’s, 3-1. Wherever Calvert Hall ends up, Zinkand feels his squad is poised to make a run at the championship. Breidenstein said the team is looking to build momentum and be at its best when the post-season gets underway. As for St. Joe, head coach Mike St. Martin believes his club continued it’s strong play, despite the setback. The Gaels are also looking to build on their momentum. SAVES: CH-Loeffler 5; MSJ-Deshong 3.